Welcome back to Narrative Control, season 3. We’ve taken a break for Gen Con and my very own Big Bad Con and now we’re back in the saddle. Season 3 has a new format. We’re taking calls from listeners and offering up what advice we can about their gaming conundrums. 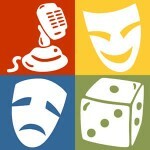 This week we talked to David Miessler-Kubanek from dmkcreative.com. We’re talking about intellectual properties, setting expectations and finding out what’s going on with an unhappy player. [00:31] Welcome back to Narrative Control. Intro to the season three format. [01:22] Eric Fattig is out for today. Welcoming guest host Lenny (not Leonard) Balsera. [01:45] What real friends are for. [02:57] “Shuu Nittner” – A name that will never been used. [03:13] Sean’s current project – Apocalypse Galactica. [04:09] Lenny working on Fate Core and Paranet Papers for Evil Hat and just moved to Austin, TX. [05:54] Problems started when some new players joined the game. Specifically a player with a LOT of Star Wars lore. Problem identified: One player’s expectations not matching up with the rest of the group’s expectations. [07:49] Lenny’s first salvo – setting expectations. Why do we do it? Not to adhere to them but to have a framework for talking about them when it comes up in the future. [09:34] David noticed a play style difference. One player who has read all the rules, knows all the mechanics, versus his own play style which was much less tied to mechanics. Problem re-identified: Player was unsatisfied by the mechanics, and uncomfortable with the rules system. Trad player walking into an indie game. [11:28] Communication was poor. Can we revisit that communication? Start the game over, start the discussion over? [12:40] Is David’s gaming style compatible with this player? Looking back, would he want to start up the game again with just a few of the players? All of them? [14:09] Problem re-re-identified. Is it hurtful or malicious to be concerned with whether or not a group is going to have a good time, if that means not including a previous player? [16:05] GM’s confidence being shaken by a bad experience. An experimental game with an experimental system. Was it his fault. What to do to get back in the saddle? [18:49] Role-playing games are a conversation. Internalizing that very hard to do. Identifying if the problem is about the game or the social dynamic? [19:56] Getting the conversation away from the trappings of the game. Problem is potentially fixable as soon as it is out in the open. [23:10] When it is the games fault. But that is still a human problem. [25:00] Regrets about the game. David starting the game back up again. The game was fine, the mechanics were fine. Start this bad boy back up again! [28:01] Why setting expectations is important (redux)? It creates a foundation for change and a place for the conversation to start from. [29:26] The future of David’s gaming group. [31:01] Would you like to be on Narrative Control? Email us at narrativecontrol@gmail.com, hop on our forums, or tweet me @seannittner.